My sister-in-law created this concoction to satisfy the sordid appetites of several young nieces and nephews. 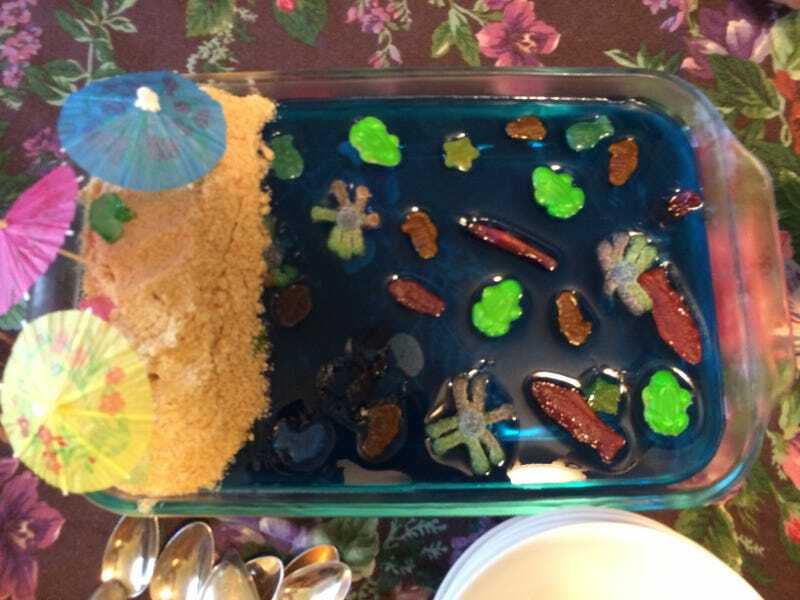 It is an ocean of blue Jell-O containing a school of floating gummi creatures. The sandy beach is a mound of crushed nilla wafflers, I mean nilla wafers. Cocktail umbrellas provide relief from the sun and may be used for spear-fishing. Fortunately, no eyes were also poked. She was raised on a farm in rural New Hampshire with no TV, and so was forced to do things like this for amusement. It was delicious.